Cities that offer the best infrastructure, high standards of living, and lucrative job opportunities tend to be expensive. The Economist Intelligence Unit has published the results of its Worldwide Cost of Living survey 2019. Here we take a look at the top 10 most expensive cities in the world in 2019 based on that survey. The list is dominated by Asian and European cities, with only one US city making it to the top 10. The Economist Intelligence Unit compared the prices of more than 150 products and services – food, drink, clothing, rents and others – in 133 cities around the world to calculate the rankings. The survey used New York City as a benchmark (with a score of 100). It’s first time in the Economist Intelligence Unit’s 30 years long history that three cities have been tied for the top spot. 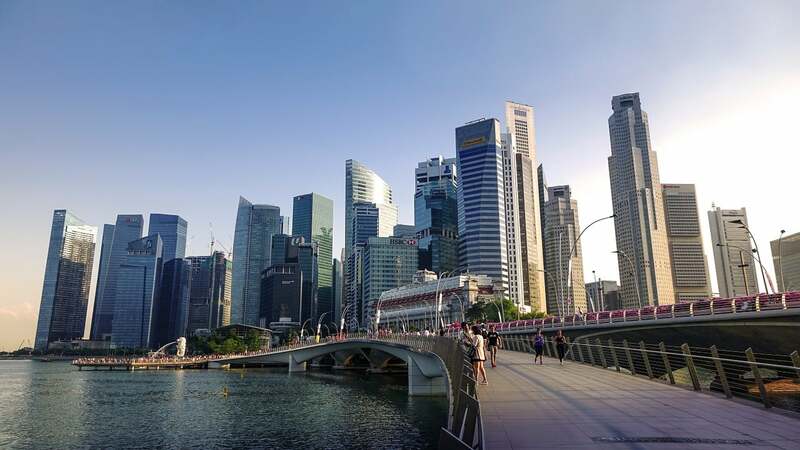 One of the world’s best startup cities is also among the top 10 most expensive cities now. Tel Aviv is the only Middle-Eastern city in this list. The Israeli city was ranked 34th only six years ago. In the span of a few short years, rising transportation costs and currency appreciation have propelled it among the top 10. Tel Aviv has a population of about half a million. The most populous city in the United States has jumped six spots from last year to occupy the 7th place this year. New York City was ranked 39th five years ago. The average cost of 1kg bread in New York is $8.33. The average annual salary in the city is above $55,000. The Danish capital is as expensive as the Big Apple in terms of the cost of living. Copenhagen ranks among the top 10 most expensive cities because of relatively high costs of recreation, transportation, and personal care. The city has a population of about 800,000. Yes, the South Korean capital also shares the 7th spot with New York and Copenhagen. Seoul is more expensive than Tokyo, Sydney, or Shanghai, but it’s still cheaper than Asian cities Singapore, Hong Kong, and Osaka. The cost of 1kg bread is $15.59, almost twice that of New York. Seoul is also one of the world’s most expensive real estate markets. The port city of Osaka is more expensive than Tokyo, which occupies 13th spot in the latest survey. For more than two decades, Tokyo was ranked the most expensive city on the planet almost every year. Osaka has a population of more than 20 million. Almost all cities in Switzerland are rather expensive compared to cities in the rest of Europe and North America. Geneva is among the most expensive due to the high costs of rent, personal care, recreation, and entertainment. Zurich is the second most expensive city in Europe. The average cost of a woman’s haircut is $73.97 in Zurich, which is much higher than $53.46 in Osaka, Japan. Other discretionary items are also ridiculously expensive. The largest city in Switzerland has a population of 409,000. Hong Kong has joined Paris and Singapore for the first time to occupy 1st place among the top 10 most expensive cities. According to the Economist Intelligence Unit, it has a cost of living score of 107, meaning it is 7% more expensive than New York. Hong Kong jumped three places compared to last year. Its real estate market is also among the most expensive. The French capital has the same cost of living score of 107. The city of lights moved up one spot compared to 2018. The average cost of a woman’s haircut in Paris is $119.04 while a meal for two costs $61.68. According to the Economist Intelligence Unit, European cities including Paris have high costs in the personal care, entertainment, household, and recreation categories. Singapore has been the most expensive city on the planet since 2014. It is home to the world’s best airport and it offers one of the highest living standards. The city-state has a population of 563,000.